The healing properties of the December birthstone are reputed to be effective for health problems relating to the throat, lungs, asthma, teeth, depression. and infection. 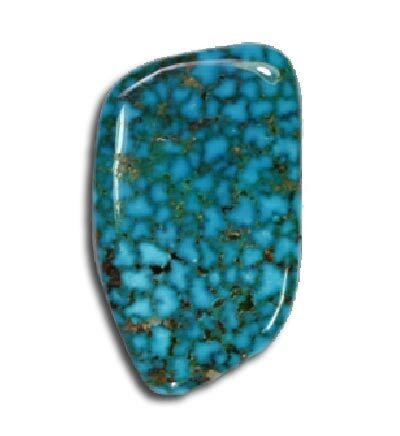 The Turquoise is also used to enhance creativity, serenity and spiritual bonding. The twelve Zodiac signs are an astrological version of birthstones in addition to the twelve calendar months. The December birthstone of the Turquoise is considered to be the birthstone for Sagittarius (The sign of the Archer) and relate to those born between November 23 - December 21. The Zodiac sign of Sagittarius also responds to Topaz, Beryl, Blue Topaz, Blue Zircon, Ruby, Lapis Lazuli and Citrine. December Birthstone - Where are Turquoise found? Iran, United States, Africa, Australia, Siberia, and Europe. The traditional color associated with the Turquoise is the sky blue color and was strongly favored as a popular gem in Victorian jewelry. The meaning of colors through the ages represented many aspects of life. Social, religious, biblical and Christian symbolism were all reflected in the color turquoise. The symbolic meaning of the color turquoise represents the life cycle of birth, old age and death, due to its ability to change color with ageing. The December birthstone is not just confined to the sky blue color, Turquoise can be found in blue green through various shades of green including apple green to greenish and yellowish gray. Definition of Turquoise, the December birth stone: The word Turquoise is derived from the Greek word "Turkois" which means "Turkish" so called because it was first brought from Turkey. Turquoise is a blue to gray green mineral consisting of copper aluminum phosphate. Turquoise is the only gemstone belonging to the phosphates family. It is a hydrous phosphate of aluminum with a small percentage of copper which gives it the blue coloring. When associated with iron the color tends to be greenish. Blue turquoise is valued as a gemstone. For those who were born in the month of December the Turquoise is the traditional birthstone. The history, myths, legends and folklore surrounding the magical properties of different birthstones have been handed down through the ages and from different civilisations. This subject has been documented separately in the History of Birthstones section which can be accessed by the link at the top of the page. December Birth stone - Where are Turquoise found?